The stomach flu hit our house hard last week and my son who is in first grade was home for a few days. Last time he was sick he did our Sick Day Printables. 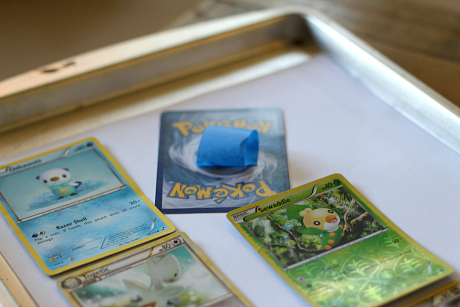 But this time he asked me to make him something with his Pokemon Cards. Are your kids into Pokemon? 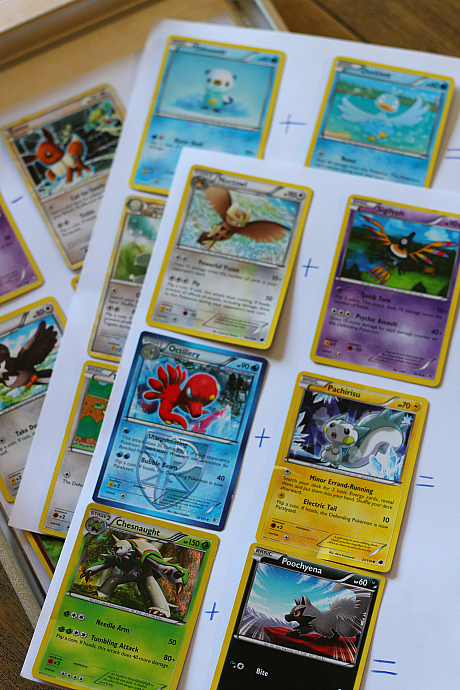 I could not tell you that I know much about how to play the actual Pokemon card game but I do know my son adores it. 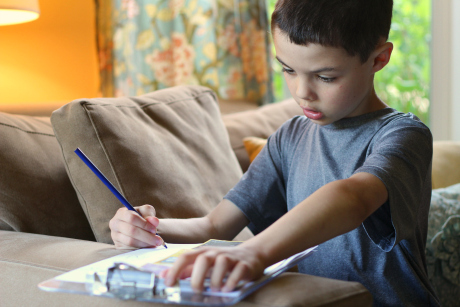 Tapping into their interests is a surefire way to get them into whatever learning goals you have for them. 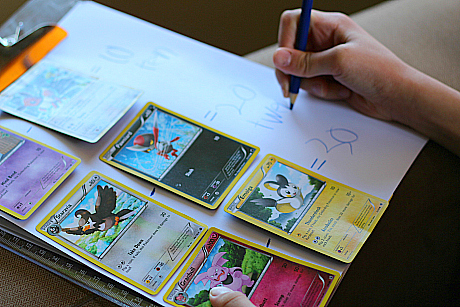 We have been working on addition and subtraction so why not turn that into Pokemon math?! This post is part of our Learning After School series which is a series of short but fun activities for school age kids. Gather your materials. 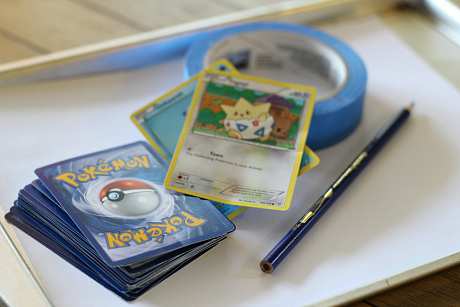 You will need some Pokemon Cards (you could use regular cards too), painter’s tape (I swear I use this more than any material), paper, and a pencil. Using painter’s tape secure the cards onto the paper. I did four rows of two cards on each page and made three pages. Turn the pairs into either addition or subtraction. 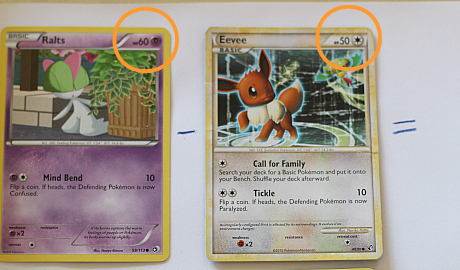 Your child will be using the numbers in the upper right corner which according to my son is the Pokemon’s health number. He told me it was too easy so then I had him write out the answer underneath the number. Throwing in a little spelling too. 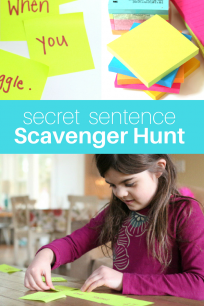 Short little bursts of learning like this centered around your child’s latest obsession really add up to a lot of learning without a lot of stress. School age kids are busy and I don’t do these activities with my son every day. Homework is his priority but when we have a down day I will throw together something like this to remind him how fun learning can be in or out of school. 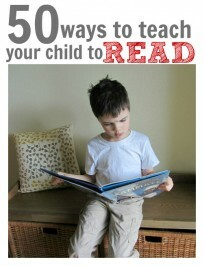 Tapping into your child’s interest is especially important with reading for fun. This is my son’s absolute favorite Pokemon book! The title link is an affiliate link. There are a lot of Pokemon books on the market but this one gets the biggest possible thumbs up from my seven-year-old son. We had to replace his first copy because he read it so much it fell apart. 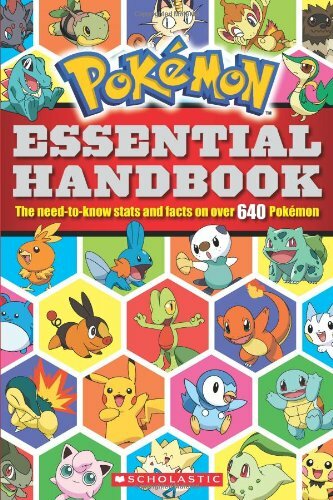 This book is an encyclopedia of all the Pokemon characters. Each description includes a little blurb about the Pokemon and some stats. We have had a blast reading this book together. He memorizes everything about the Pokemon, looks to see which ones are about his height, about his weight and of course asks me to quiz him on all of the above. I can not tell you how much he loves this book. It goes everywhere with him and when he says ” Where is my book?” we know which book he is speaking of. If your child is into Pokemon they will love it. 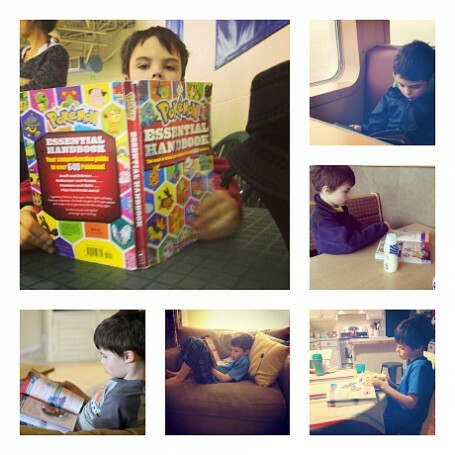 How do you use your children’s current obsessions for learning? For other fun ways like pokemon math to keep your children learning, stop over on Facebook and share with us. I love this idea.. With my daughter’s obsession of all things Pokemon, this is perfect! Her favorite activity we do is copyworking their names. She loves to practice writing letters so I started putting their names a few lines apart on a page and she will copy it.. albeit some of it at the beginning was jumbled (as in pikachu was spelt pichkau)..lol All I need is to get some cards and we can add this to the mix. Thank you so much for sharing this idea. I need to get my son to do that – at this point I am almost ready to pay him to work on handwriting. Urgh. I love how you used something that your son loves and interests him while turning it into a learning activity. 🙂 Those are the best! Love this!! My 6 year old son is obsessed with Pokemon. And the same book! This is a total zeitgeist. The bug just bit here )we have the same book and are waiting on several others to arrive. I write for a math site and was just thinking I should write a Pokemon math post! If I do come up with something I will share and also link up to yours. Love this idea! 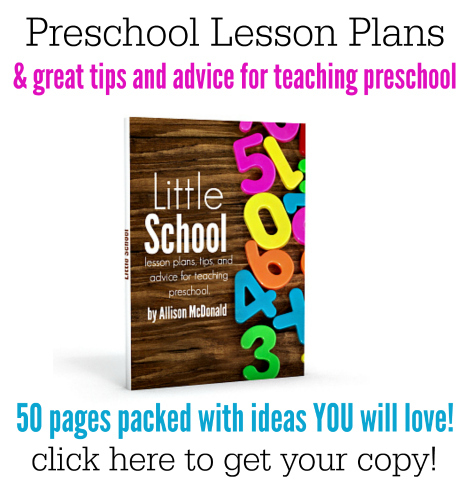 We often add up the numbers as well but I loveyour worksheet! Pokemon plays a huge role in our house too as my 6 year old is obsessed. We now need to buy a second copy of the book too because pages have started falling out from so much use! Thanks for the idea!